Shed some light on the murky circumstances behind the death of journalist Jack Olsen, who was investigating the assassination of the most famous US president from the last 55 years. After meeting with the American president, FBI Director Edward Castle needs your help for this TOP SECRET assignment. You'll take on the role of Special Agent Jane Sully, and your investigative talents and attention to detail will be your most valuable weapons in this high-risk investigation. 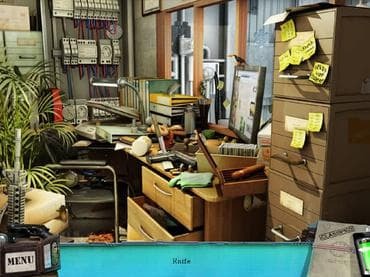 Free Game features: - Varied hidden-object scenes; - Animated backgrounds and dramatization; - 50 anecdotes about JFK hidden throughout the game; - A captivating plot set in the world of classified cases; - Simple and intuitive gameplay. If you have questions about Hidden Files: Echoes of JFK game, please contact us using this form.